Should This Be The Year You Give Up Meat For Good? Should This Be The Year You Give Up Meat? It certainly seems to have been a popular lifestyle choice of late, which has been facilitated by an increasing range of vegan products available in both shops and restaurants. Whether you are planning to just dip your toes into plant based eating for a few weeks or thinking of giving up meat for the long term, you need to be armed with enough info to get you started. Giving up meat needn’t necessarily mean going totally vegan - which is fairly impossible anyway if you are trying to avoid killing or consuming anything derived from animals. Vegetarianism is the next best thing in terms of the health benefits and being more environmentally friendly. So, realistically what does being a vegetarian involve and how can you make it fit into your lifestyle? Vegetarianism is the practice of abstaining from the consumption of meat and seafood. It may also include abstention from by-products of animal slaughter, such as animal-derived rennet and gelatine. If followed carefully vegetarian diets can bring many positive health benefits. A good vegetarian diet offers lower levels of saturated fat and cholesterol, and higher levels of fibre, magnesium, potassium, folate and antioxidants. Despite common concerns, a vegetarian diet can easily provide the required 0.8g of protein per kg of body weight needed for the health of the average person. However, protein is made up of amino acids some of which are considered essential as the body cannot make them. Most vegetarian protein sources lack at least one of the essential amino acids. 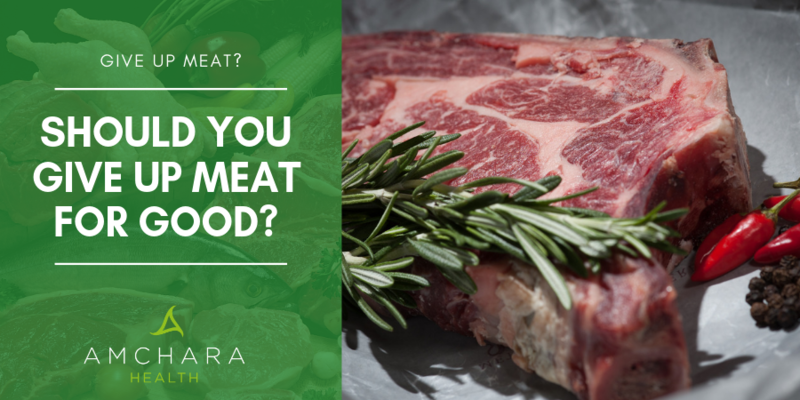 To make sure that vegetarians get the full range of essential amino acids they need, they have to take extra care to combine their protein sources throughout the day. This is particularly important in cases where protein requirements are higher – for example in pregnancy, lactation, childhood or competitive sport. For some people it may seem that non-animal sources of protein might be difficult to find and incorporate into a vegetarian diet but there are many excellent sources of protein for vegetarians. Quinoa and amaranth both contain good levels of all eight essential amino acids. As well as this, oats, Kamut and spelt are also rich in protein, although in order to make a complete protein source, they need to be combined with legumes or dairy foods. Hemp protein on the other hand has good levels of all the essential amino acids, making it an excellent choice for individuals venturing into vegetarianism. In addition to this soya is also a complete vegetarian protein but it’s important to opt for the traditional fermented forms such as tempeh, natto and miso as these are far better absorbed and give added value in terms of the beneficial bacteria they contain. Vegetarians should also try to include nuts and seeds into their daily nutrition as they are high in protein and fibre. They can be more easily digested if they are soaked overnight. Sprouting is another way to incorporate them into a diet and it raises their nutrient composition. Making nut and seed butters can be another useful option. If you choose to include beans and pulses in your diet, it is better to buy dried products, soaking and boiling them before use rather than purchase the tinned variety. To help aid the digestibility of beans and pulses you can add a strip of kombu seaweed to the cooking water. Sea vegetables and algae are also rich in protein and trace minerals. These can be added to salads and soups or sushi. They can also be added to juices and smoothies to provide some healthy protein and minerals to fill any nutrient gaps during the day. One of the vitamins that is often talked about in relation to a vegetarian or vegan diet is vitamin B12. This is because vitamin B12 is limited to animal sources so it can be challenging to obtain this easily from a meat free diet. If as a vegetarian you don’t include eggs and dairy produce in your diet you are at a higher risk of vitamin B12 deficiency. 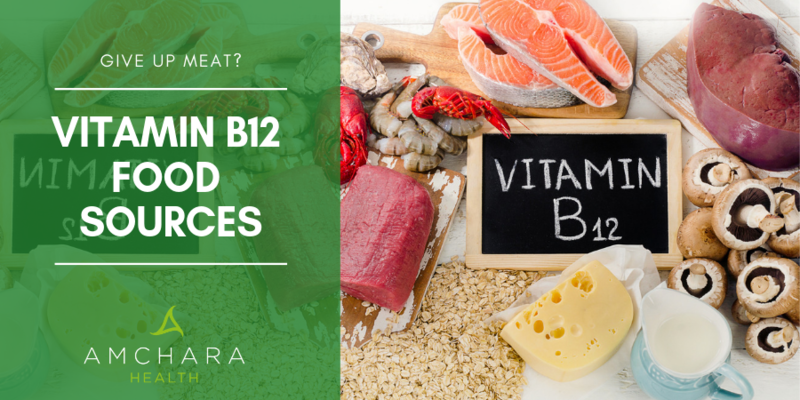 It is possible to obtain small amounts of vitamin B12 from fortified cereals and yeast products, but really it would be best to include vitamin B12 supplements if your diet is seriously lacking in eggs and dairy produce. Even though only small amounts of vitamin B12 are necessary in the diet, a deficiency can be very serious leading to anaemia and irreversible nerve damage. Where iron is concerned vegetarians must be aware of the bio-availability of their sources. Although vegetarian diets typically contain similar levels of iron to non-vegetarian diets, the iron in plant foods has lower bioavailability than iron from meat sources. An additional problem is the presence of phytates, found in whole grains and seeds. These affect the absorption of iron. As well as this, oxalates found in spinach and chocolate plus the tannins present in tea may also decrease iron absorption by forming complexes with the mineral that cannot be absorbed through the digestive tract. All of this means that vegetarians have an increased risk of iron deficiency. If you think you are low on iron you should contact your health practitioner for blood tests. Supplementing with iron is not recommended unless blood tests have confirmed a deficiency as high levels of iron in the body can be toxic. One of the things vegetarians have to make sure of is that there is sufficient calcium in their diet. In the absence of dairy products, it is important to source calcium from non-animal foods to maintain strong, healthy bones. Spinach, Swiss chard and beet greens are high in calcium, but the calcium is bound to oxalate and therefore it is poorly absorbed. There are many other non-animal sources of calcium. Many vegetarians may not be aware that some foods and indeed supplements have ingredients that are derived from animal ligaments, tendons and bones. A vegetarian should avoid foods that contain animal fats like lard. These are often contained in things like biscuits and cakes. In addition to this standard cheese is made with rennet, which is taken from the stomach lining of slaughtered cows. Fortunately these days it is possible to buy vegetarian cheese. Vitamin D is sourced primarily from the sun and absorbed through the skin. For those not living in sunny climates it is important to gain adequate vitamin D through foods such as fish, egg yolks, cheese and cod liver oil. Vegetarians may have to supplement with vitamin D if they don’t spend sufficient time in the sun. There are some animal parts that may be used as ingredients for supplements. These include products like glucosamine and vitamin D3. Some people think of themselves as vegetarians but also eat fish. For a strict vegetarian a fish oil supplement would not be suitable. Nowadays many health food supplement companies offer a large range of vegan friendly products, so it shouldn’t be too difficult to source the nutrients you need. A short stay on an Amchara retreat is a good way to ease yourself into a meat free diet and can leave you feeling healthier and more motivated to stick with the lifestyle changes you have made. If this is the kind of support you feel you need, book yourself a free health consultation with a professional nutritionist.